For a close-up look at transgender expression in another time and place, this Pride Month we wanted to share a selection from Maki Isaka’s book Onnagata: A Labyrinth of Gendering in Kabuki Theater. Onnagata, usually male actors who perform the roles of women, have been an important aspect of kabuki since its beginnings in 17th-century Japan. Isaka examines how the onnagata‘s theatrical gender “impersonation” has shaped the concept and mechanisms of femininity and gender construction in Japan. The implications of this study go well beyond the realm of theater and East Asia, informing theory about gender more broadly. Quatercentenary kabuki theater in Japan is a “queer” theater. That is not so much to say that kabuki is an all-male theater, in which male actors play women’s roles, as to note how radically this art form has altered the connotations of the word “kabuki.” Just as with the word “queer,” the implication of which has changed fundamentally over the years, the meanings of the word “kabuki”—nominalized from a verb, kabuku (to lean; to act and/or dress in a peculiar and queer manner)—have transformed dramatically. Not only did it shift from a generic word (that which is eccentric, deviant, queer, and the like) to a proper noun (this theater), but its connotations also altered tremendously from something negative to something positive. That is, kabuki theater was born as a kabuki thing—merely another stray entertainment among many, which was considered akin to prostitution—and ended up proudly styling itself the kabuki theater. With a checkered past marked by bans, shutdowns, exile, and even capital punishment for the parties concerned, kabuki—once a theater of rebellion for the common people—is now one of four classical genres of Japanese theater that the nation proudly presents to the world, along with noh (a medieval Buddhist theater a few centuries older than kabuki), kyōgen (a theater of mime and speech that accompanies noh), and bunraku (a puppet theater), all of which are all-male theater. This entry was posted in Asian Studies, Book Excerpt, History, Japan, Performing Arts, Sexuality Studies and tagged Maki Isaka, Onnagata, Performing Arts, Pride Month on June 23, 2016 by uwpressblog. 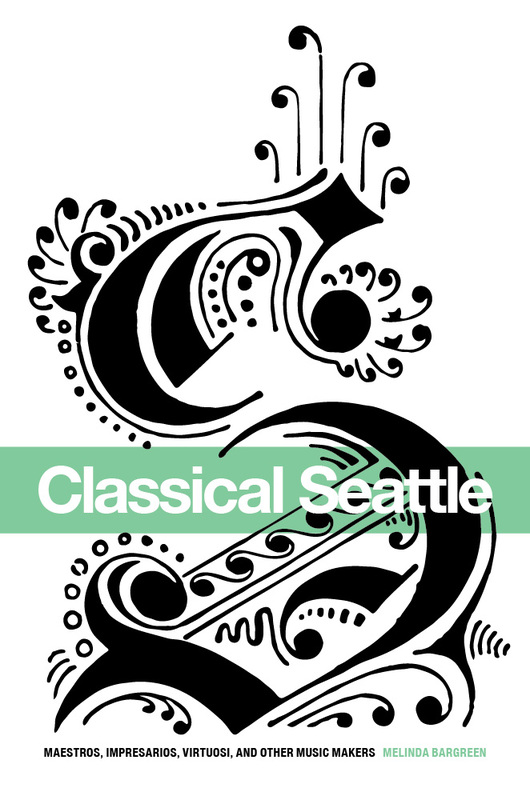 The past 50 years have seen a tremendous arts boom in Seattle, which has given the city not only internationally recognized classical music institutions but also great performance halls to showcase their work and that of visiting artists. 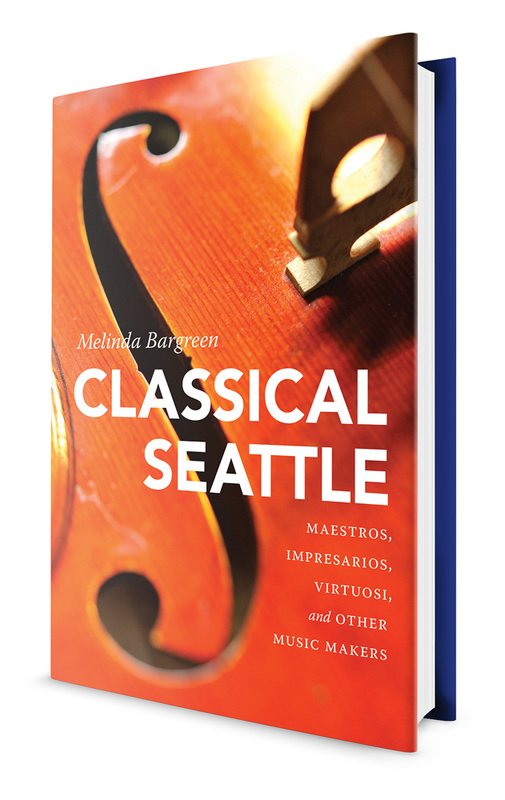 In Classical Seattle: Maestros, Impresarios, Virtuosi, and Other Music Makers, Melinda Bargreen documents the lives of prominent figures in the local classical music world. In this guest post, UW Press Senior Designer Thomas Eykemans walks us through his creative process in designing the book’s cover. This cover design presented a challenge that we frequently encounter: how to visually capture the essence of a rich book full of varied stories, photographs, and personalities in a singular and striking image. Though a collage approach is often tempting, it tends to dilute the composition and lessen the impact of any one image. I looked to musical notation for inspiration in my early concepts. A musical staff with its clefs, notes, and other symbols provided a rich collection of shapes and forms from which to draw. Upon reflection, however, this direction felt a little cold and detached from the warmth of the people and stories contained within. An early concept using abstracted musical notation. This entry was posted in Autobiography, Behind the Covers, Biography, Book Design, Guest Post, Pacific Northwest and tagged Classical Seattle, design, McLellan Endowed Series, Melinda Bargreen, Performing Arts on December 9, 2015 by uwpressblog.